Third-year Tyler Raclin waits for the serve. The University of Chicago’s nationally ranked men’s and women’s tennis squads kicked off their 2019 seasons in a big way with a pair of crushing victories over the Lewis University Flyers at home on Saturday. Winners for the Maroon men include singles competitors second-years Jeremy Yuan and Alejandro Rodriguez, fourth-year Charlie Pei, and first-years Alex Guzhva and Joshua Xu. The two men’s doubles teams also had themselves a strong weekend: the duo of third-years Ninan Kumar and Erik Kerrigan took a tight 8–7 match via tiebreaker while Pei and Xu dominated their opponents in an 8–2 rout. On the backs of these strong performances, the men’s squad recorded a dominant record of 6–3 this weekend. Meanwhile, the women’s squad recorded a similarly strong weekend led by a series of strong singles performances. Third-year Marjorie Antohi, first-years Lauren Park and Nicole Semenov, and second-year Catherine Xu all won straight-set victories. The doubles team of Park and first-year Eugenia Lee also prevailed with a score of 8–4. This, combined with the fact that two matches were won by default, left the women’s team with a 7–2 overall record. 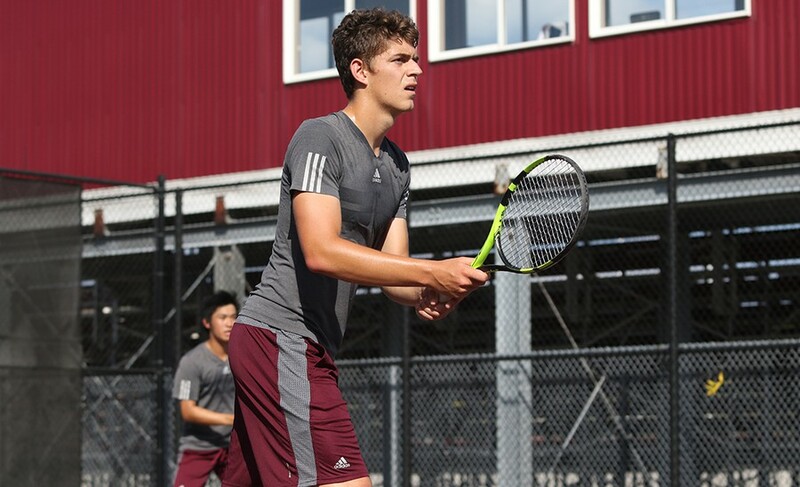 The dominant performance of both Maroon tennis teams this weekend has led to high expectations for the rest of the season: The men’s team is currently ranked third while the women’s is ranked tenth. Both squads hope to continue their success with matches this weekend against Hope College on Saturday, February 2 and UChicago’s perennial rival Kalamazoo College on Sunday, February 3. This weekend’s victory was also a personal milestone for men’s squad coach Jay Tee, who led the team to his 100th win at UChicago over a seven-season time span.